My interpretation of Fun Fotos may be more of fotos when we were having fun, though you will see one here which mimics some that Mac has posted, as it was taken in the same place though not at the same time. First of all my header phot is taken from this, a yummy treat from one year's Cousin Camp. I look forward to Cousin Camp every year. We are moving southward for this year's camp to better expand our horizons and to include one cousin family that has not been able to participate in the past. We were not able to have our annual gathering last year, the whole family gathering instead for Ranney's funeral. Maybe I will have some more and funner fotos after this year's gathering. 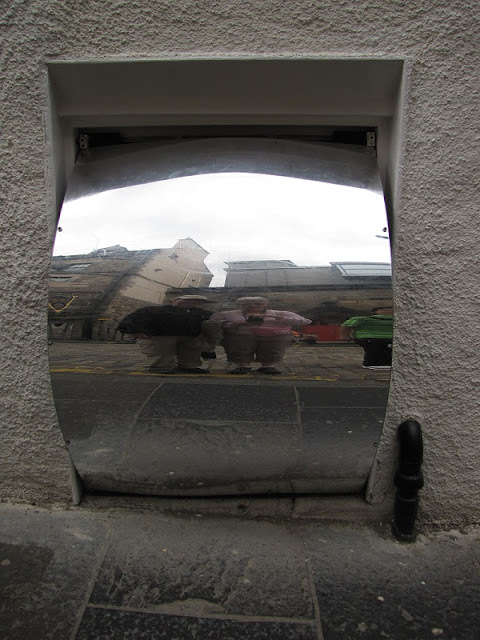 Here is a mirror of Mac's fun shots. This funhouse mirror and a couple of others are found along the Royal Mile in Edinburg, Scotland. Mac and Julie have visited, and he has posted a similar picture both in his blog and on Facebook. Ranney and I were there on vacation in 2010, when we also hiked in the Scottish Highlands. 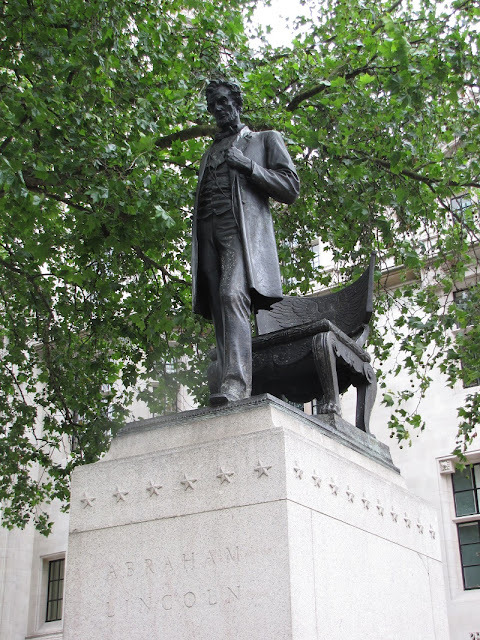 What is fun about this stolid statue of Abe Lincoln? Finding it in London, England on that same trip. ...where we also attended a performance of the "39 Steps". The chase is on here as the bobbie follows the culprit on the train. The train? Fun staging on that play! Other headbangers links are in my sidebar. Grape faces Kathy, neat work. That was a fun photo for certain Kathy. 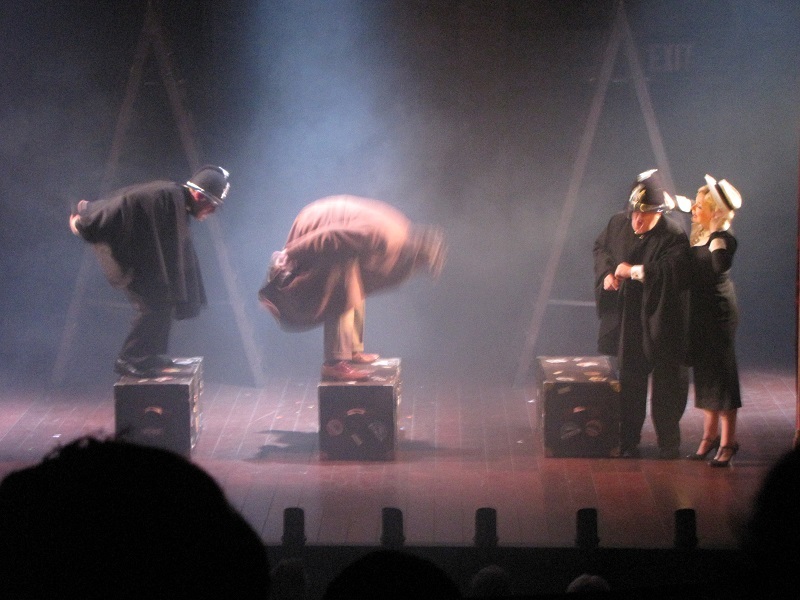 Oh I've seen that staging of 39 Steps: great fun. 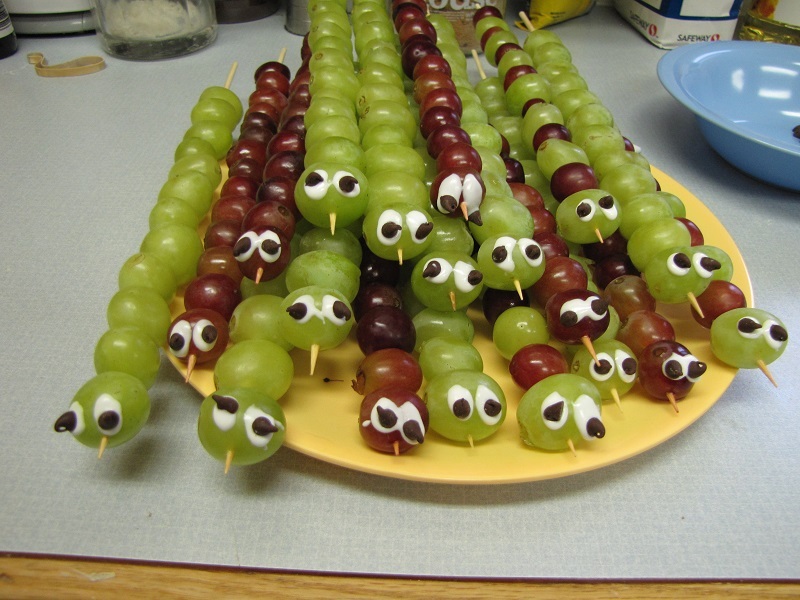 And I must try those caterpillars!